The podcasts in this series start with an introduction- How did I learn Tamil in India- the challenges I faced and tips I used to overcome some of the challenges. 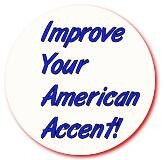 The intro is followed by exercises you can use to train your ear to hear American English sounds. Enjoy!